Bitcoin started out as blockchain technology with an innovative ideology for a more secure monetary future, and is now taking hold in the real estate world. Bitcoin and other cryptocurrencies, although not yet mainstream, show promise in an industry that typically prioritizes buyers who can provide secure funds for a property in a short amount of time. 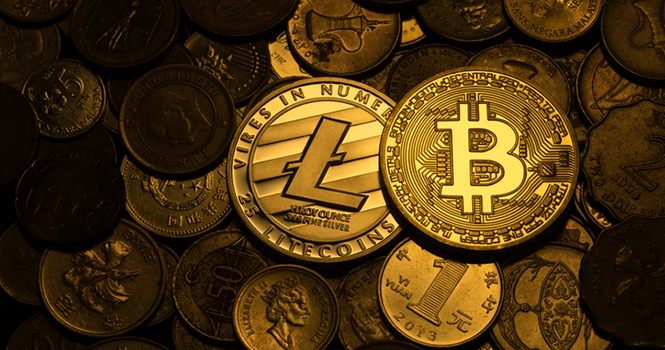 Widely misunderstood, cryptocurrencies work through blockchain technology that creates a linear series of blocks of code, which are then used to create a record of each transaction and its access point. The technology uses unique access codes that can be used from nearly anywhere in order to share data in a transaction. Essentially, Bitcoin and other forms of blockchain currencies cut out a central authority, using varying individuals to authorize the payment in order to ensure an impartial and secure transaction. Some alternative blockchain currencies have wavered in price steadiness, but Bitcoin has consistently gained since its initial unveiling in 2009. Bitcoin’s value skyrocketed to nearly $20 thousand between July and December, and has now leveled off to around $16 thousand. Fees are not tied to the transfer amount and can be chosen at the discretion of the user. Transactions are more secure because they do not contain sensitive customer information. Users can protect their funds with added backup methods and encryptions. The Bitcoin supply is transparent and cannot be manipulated because it is cryptographically secure. More and more real estate businesses related to Bitcoin and other cryptocurrencies are beginning to form. One, the International Blockchain Real Estate Association, is a trade organization that was founded in 2013 and implements blockchain in real estate. The association states that using cryptocurrencies in a real estate transaction can “reduce costs, stamp out fraud, speed up transactions, increase financial privacy, internationalize markets and make real estate a liquid asset,” according to its website. But the technology is not without its vulnerabilities. While the unique codes provide some measure of security, they alone cannot prevent cyber fraud. Just last month, a Youbit heist in North Korea made international headlines as one occurrence in a series of events to try and steal from cryptocurrency exchanges and individual investors. Even Bitcoin is aware of its own challenges; its website cites that the degree of acceptance is low, currency volatility is an issue and the software is still undergoing development in order to make it more secure and accessible to the masses. While some luxury homes are listed with a Bitcoin price tag, the industry is seeing a lot more rental opportunities welcoming the blockchain technology. For example, ManageGo is a New York-based company that allows renters to pay with virtual currency—whether that be Bitcoin, Ethereum or Litecoin—all from an app. With this technology, landlords can eliminate the chance of bounced checks and receive funds by the next day. The app also works as an all-in-one support platform that allows renters to create and track maintenance requests. This is a way to attract renters that may be unsure about paying with Bitcoin, but now have the bonus of timely building maintenance and support to convince them. Additionally, while buyers, especially home investors, are more willing to invest their cash in Bitcoin and other cryptocurrencies, sellers are wary of accepting a form of payment they are unfamiliar with. Many online marketplaces, such as Overstock.com, Namecheap and Reddit, are now accepting Bitcoin purchases, but it is not yet widespread enough to become a regularly accepted form of payment in a real estate transaction. Most agents are also unfamiliar with blockchain technology, and may decide to forgo working with sellers or buyers who say Bitcoin or other cryptocurrencies are the only payment method they will use. As Bitcoin gains popularity, and, if more businesses begin to accept it as standard purchasing power, only then will the real estate industry begin to really consider the technology. Its use may also largely depend on location. Will it be used at the national level, or will it be relied on mainly for international transactions in order to avoid other volatile currencies?